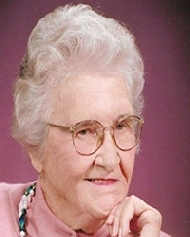 Sudie Ann Robeson obituary. Carnes Funeral Home. Mamma never wanted a funeral or memorial. She always said, "See me while I am alive and can enjoy your visit." We are honoring her wishes. We will celebrate her life the next time we can all get together. It will be a time of laughter and love. She wanted her body donated to science, so they could find out what made her so healthy during her life and hopefully help others to be as healthy as she was. Her body is going to the University of Texas for research. Mrs. Sudie was an active member of 1st Baptist Church in Buna, TX from 1950 until 1971. She was an active member of Central Baptist Church in Livingston, TX from 1971 until 2017. She was a wonderful wife, mother, and neighbor. She loved everyone and was loved by everyone who met her. She was the best example of a good Christian woman. Susan Ann Lewis-McCrory-Brown-Robeson was preceded in death by her parents, Henry Banks Lewis (1920) and Susan Lottie Sarah Frances (Sallie) Finney Lewis (1977), 3 husbands John Clinton McCrory, Sr (1955), Fred Brown (1974) and Harry Robeson (1989), 3 sisters, 2 brothers, 2 nieces, and 6 nephews. She is survived by 3 children, Frances Mable McCrory-Meservy (husband Al), John Clinton McCrory, Jr (wife Rhonda), and Samuel James McCrory (wife Christy), 7 grandchildren, 9 great grandchildren, 3 great-great grandchildren, 1 nephew, and 6 nieces.